All About That Beard With Admiral! 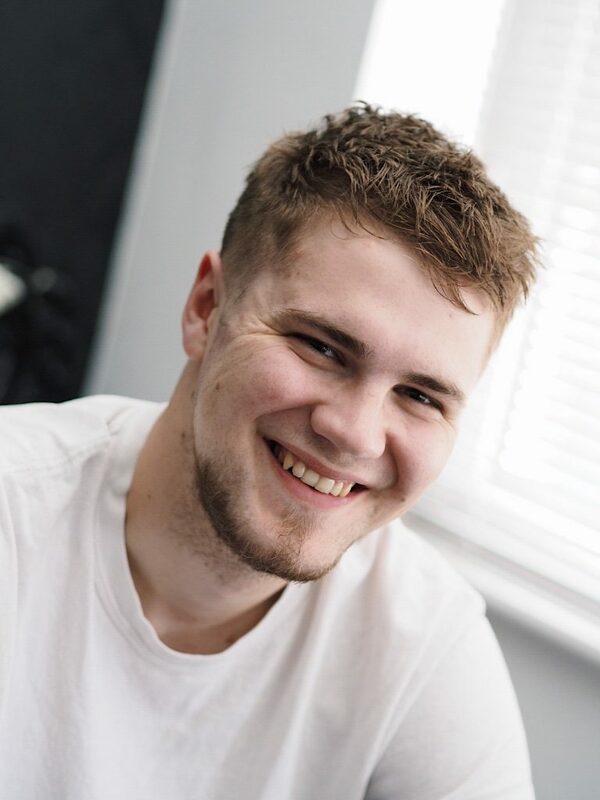 I’m excited for this post as I’ve decided to give Jake a little section on my blog. All posts he has featured in have seemed to do really well, the popular thing! He’s mine though, sorry. I recently had a gentleman from Admiral Grooming pop me over an email to ask if Jake would like to try out some of their mens grooming products. I thought reviewing these would be the perfect way to get things up and running on his section which will be named “The Gentlemans View”. We’re not 100% sure what the section is going to include yet but I imagine it’ll be a bit of everything, just like my blog in general. 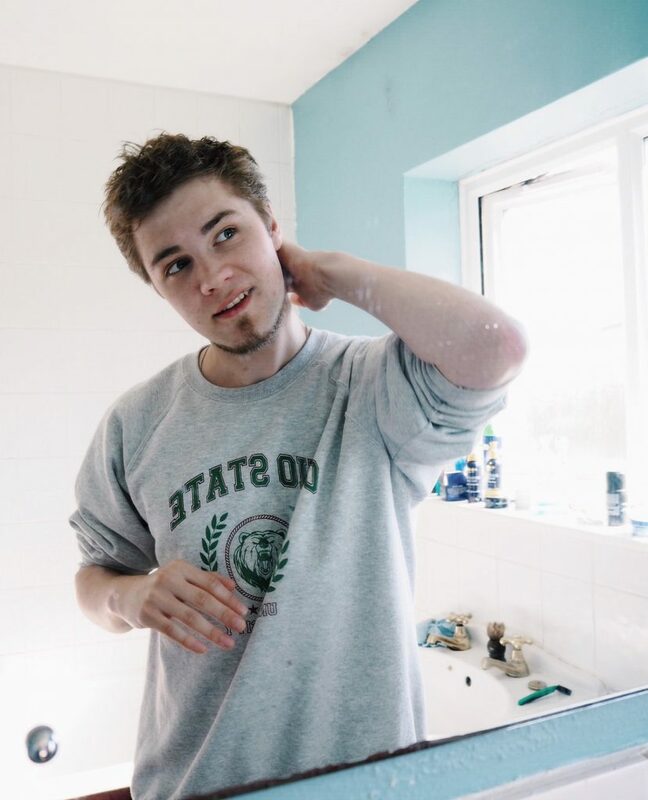 Breaking down the stigma around men interested in beauty and taking care of themselves being a feminine or homosexual thing is something I would really like to discuss in future posts. The fact that I’m with a man who enjoys essentially pampering himself pleases me greatly for so many reasons. A few of them being that it makes gifts easier, It means he’s genuinely interested when I speak about all sorts of products and he’s not one of those who believes that “men should be men” and all that macho rubbish. A man should be whoever and whatever he wants to be, it doesn’t make him any less of one because of others opinions. ANYWAY, I’m going to let Jake talk now as I’m taking over his section already! Straight after use the texture of my beard is very soft and it feels lighter and way less clogged up than normal. I’ve been using this product every other day as the clean feeling lasts for around 48 hours which I find quite decent as I have quite an active job. With this wash, I’ve found around a pea-size amount is perfectly enough for a thorough cleanse as it lathers up really easily. I never used any sort of beard cleansing product before and now I’m wondering why. (Alice appreciates a much softer beard too). My beard is generally softer on a day to day basis now and I’m still using it just as often. There’s still just over half the bottle left which is brilliant as I won’t have to repurchase just yet but it’s definitely something I will be buying again. I can’t fault this beard wash in any way to be quite honest, it’s been a lovely addition to my grooming routine. I’ve been using this oil straight after shaving which is approximately every few days. I absolutely love the subtle scent of it. It really adds an extra element of softness to my beard after the wash and I feel like it gives it definition by enhancing the colour and shine. I really look forward to using this as it adds more luxury to the routine of shaving and hydrates my skin underneath the beard too. This product really makes my beard feel more sleek, tidy and look a lot more attractive. I didn’t realise adding something as simple as an oil into my routine would make me feel a lot more confident. I personally think this oil is more suited for shorter beards and I’ve gotten a hell of a lot of use out of it so far. Great product and the olive extract really adds something. This is essentially a solid oil and it melts on contact with the skin. Again, I’m really into the scent of this product. I personally wouldn’t say the balm does much different than the oil but I’m currently preferring the oil over the balm due to ease of use. Something I would say is that you probably get more product for your money with the balm and it’d be more beneficial for men with longer beards. 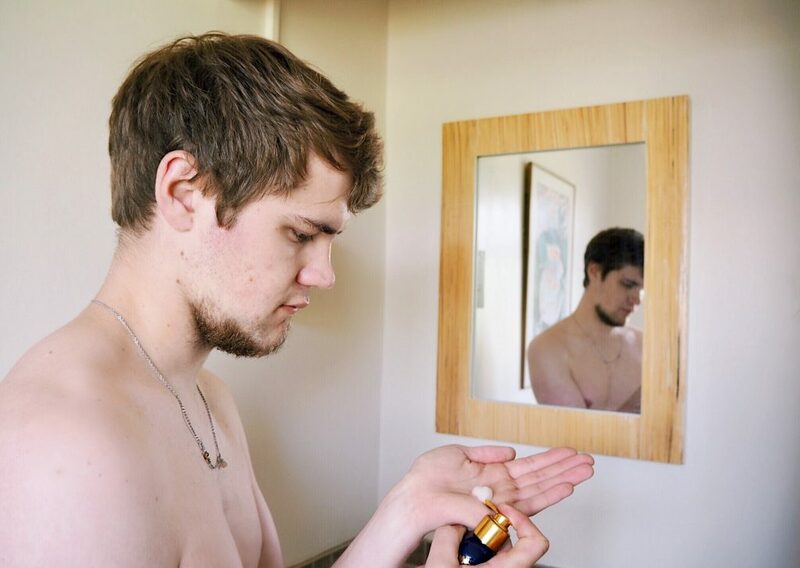 I’m in two minds about this product, it’s really pleasant to use but as I said before, I think it’d be a lot more suited to men with longer facial hair. I still love the scent and will continue to use it until the product runs out but I’ll be sticking to the oil until I decide to go full lumberjack. This is my absolute favourite out of all the products. I’ve been using it prior to the beard wash every other day and occasionally after a particularly active shift. It makes the skin feel polished and deeply cleansed afterwards. What felt like a build up of grime on my nose and cheeks has now considerably decreased and it’s really helping to banish blemishes. The exfoliant particles aren’t particularly large and the texture is more of a silky gel than anything else but it’s incredibly effective. I’m completely sold on this product, there’s nothing to complain about. This is for sure the new staple in my routine after using The Body Shop products for a long time. Mens skin is naturally thicker and more coarse than females and I feel like this scrub is made to compliment that. 10/10 product, it’s on the top of my re-purchase list. Prior to using this paste, I’ve been an avid VO5 Matte Clay lover but this will definitely be my new first choice. The texture is not greasy, it has brilliant hold in the hair and it’s very durable for someone with an active lifestyle. I use a lot less of this product too compared to the Matte Clay and the effect is just as good if not much better. It’s brilliant so far and despite it being more expensive, I get double the use out of it aswell as a much more mature scent. I’ve had my hair cut since the 2 week update and I feel that it held better when my hair was slightly longer. Despite this, I’m still much preferring it over the VO5 Matte Clay and using it daily. The basil extract is one of my favourite things about it due to the scent it gives. Although it’s a little pricier than your average mens hair product, I’d say it’s definitely worth it for the quality and how long it lasts. Overall, I’ve been highly impressed by Admiral Grooming products. The quality and size of them is fantastic and you get good value for money in terms of usage. Any of their products would make a perfect gift or just something to treat yourself with. 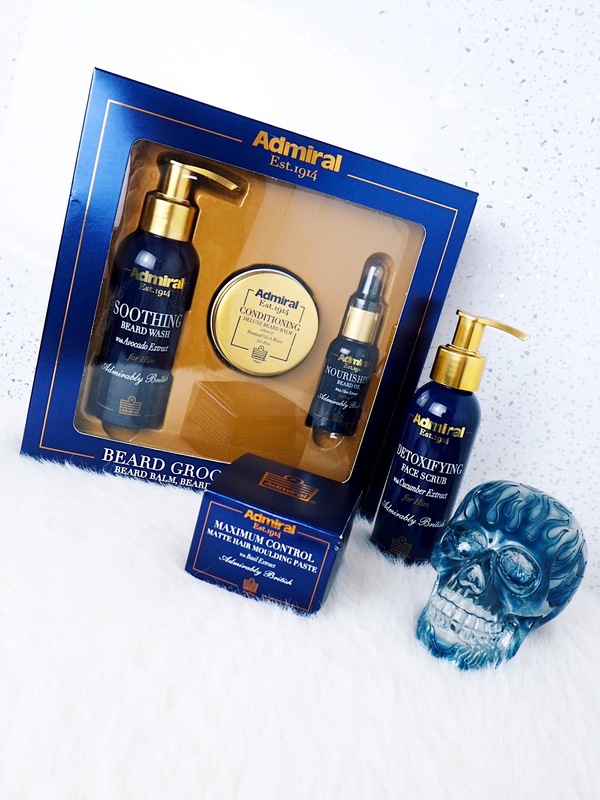 Admiral products have now replaced the majority of my skincare and shave routine and I’m really keen to try the shave set next. This includes pre-shave gel, shave cream and a moisture balm for the face which I’m sure are just as brilliant as all of these. Anyway, thanks for reading and back to Al! So there you have it. 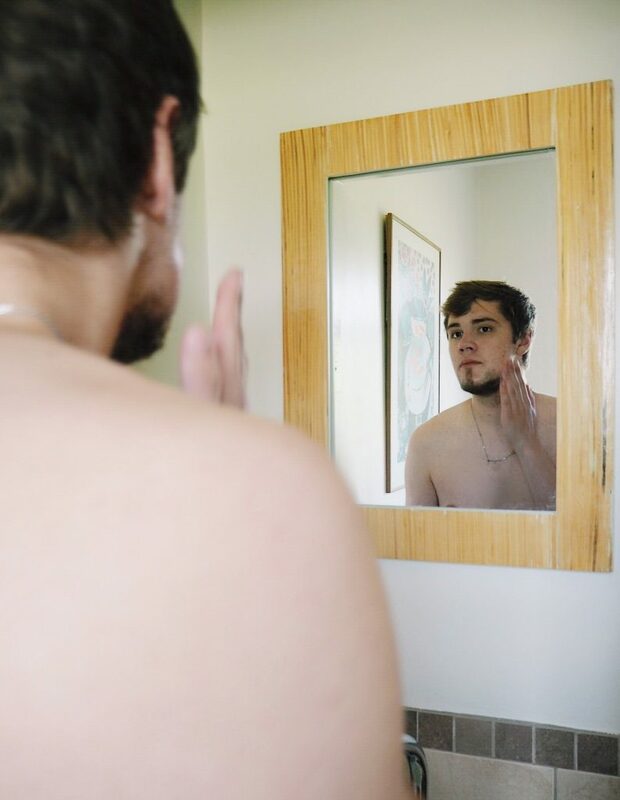 I’ve got to say, it’s really nice to see Jake sticking to a skincare routine and properly taking care of himself as his usage is usually really sporadic. It’s also much nicer having a boyfriend with softer facial hair. If you fancy grabbing anything for yourself or a loved one, you can use the code TULIP25 for 25% off your purchase at checkout even on TOP of the sale they’re currently having! Just in time for Fathers Day too. 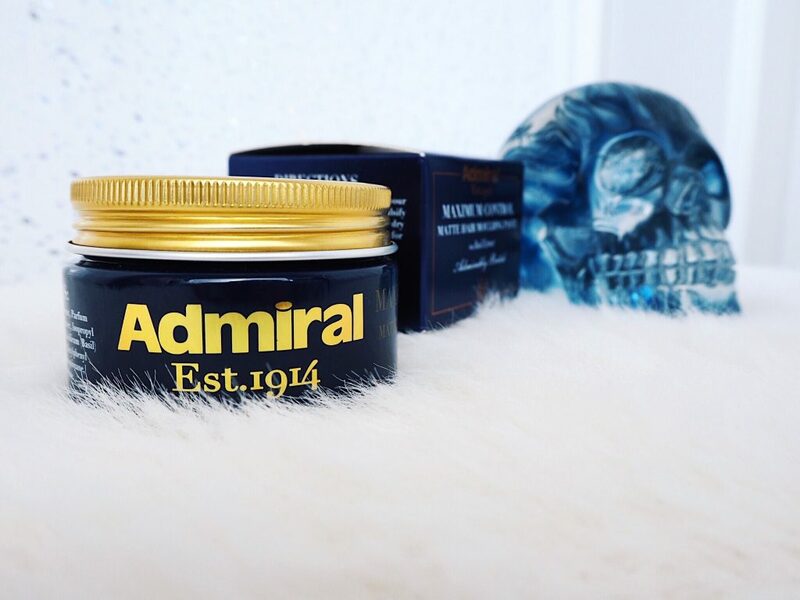 Have you ever heard of Admiral Grooming? Farewell To Friction With Smoovall! Crimson and Black Unicorn Brushes! The Body Shop Banana Bodycare Range! Beauty On A Budget: 99p Face Masks! "Blog Event or Bog Event? Some Important Tips!" "A Wall Revamp With CanvasChamp!" What a great idea to have a section dedicated to a men’s beauty point of view. These products sound great and having a review over different time periods is a great idea too as it helps provide a better picture of the product. My hubby doesn’t have a beard but my brother in law does and his birthday is coming up so I may well have a peek at the website! Great post Alice! Fantastic idea to have a Gentleman’s side! It is probably a much neglected niche! Oh this is cute!! I love that you’re incorporating Jake’s impact and view’s in your blog, I think his posts will be mighty handy to browse through with Father’s Day up coming and of course for birthday/Christmas ideas. Great review Jake, can’t wait to read more from you. This is such a great idea! Sounds like this could be a great gift for Father’s Day! This would be the perfect gift set for any man! Jake did great taking over this post! Great post and looking forward to reading some more! 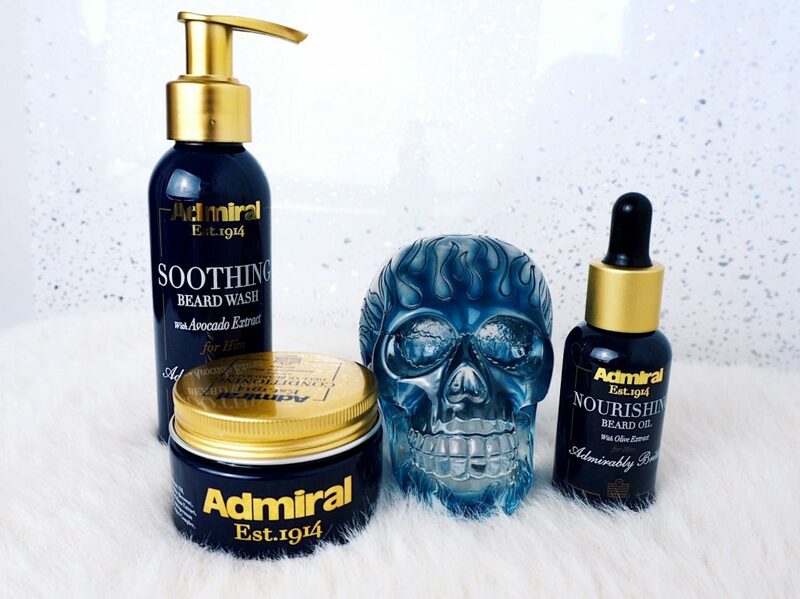 I am in love with the packaging of these Admiral products. Pretty cool that you got to involve Jake with trying out this product – d’oh it is for men! Oooh, it’s great that there were positive results from using the kit. If my boyfriend ever wants to grow his beard out, I’d totally buy this for him! Thanks for sharing the experience with the beard grooming kit :)! 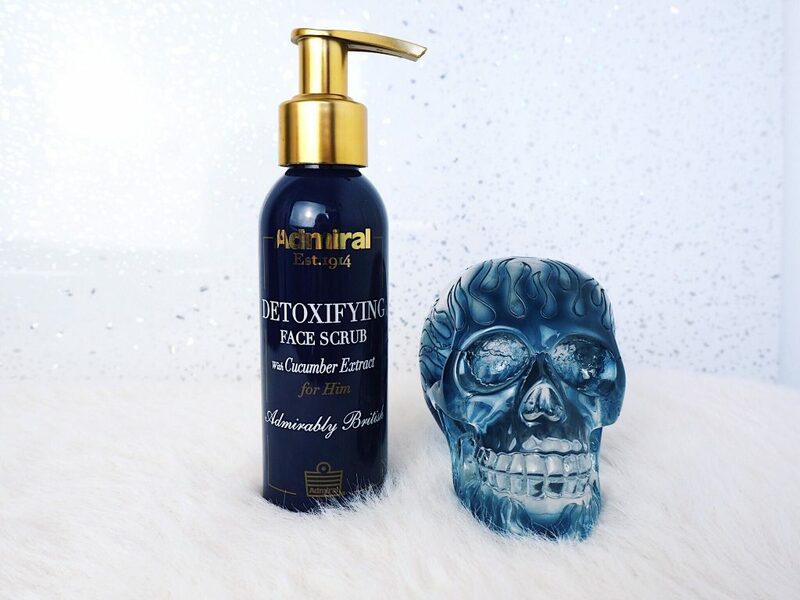 About the feel good factor for men and women – love the skull btw ?